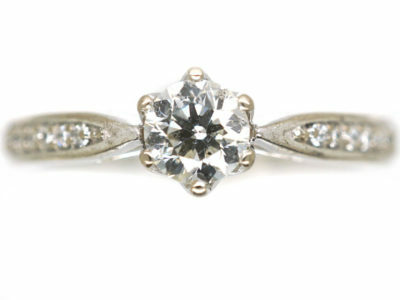 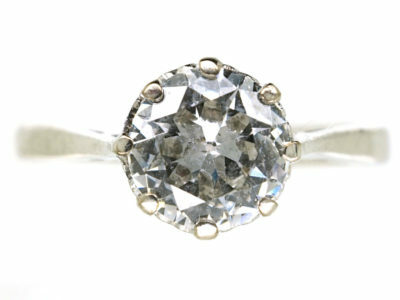 A good looking 18ct white gold diamond solitaire ring. 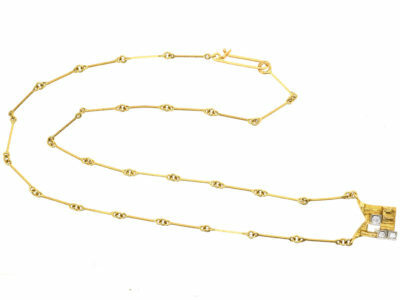 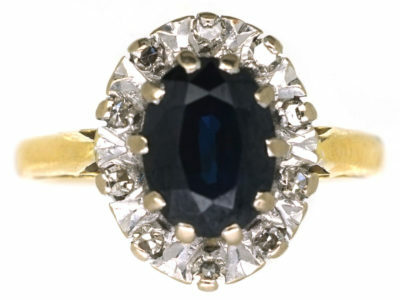 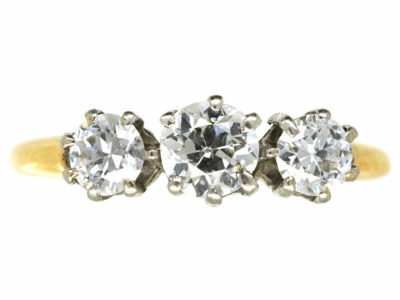 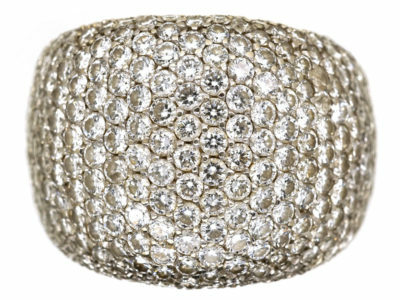 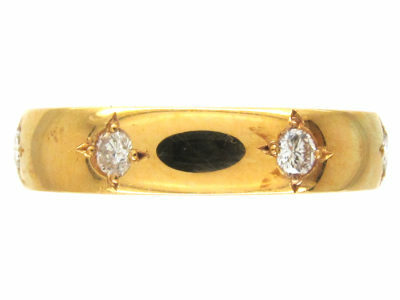 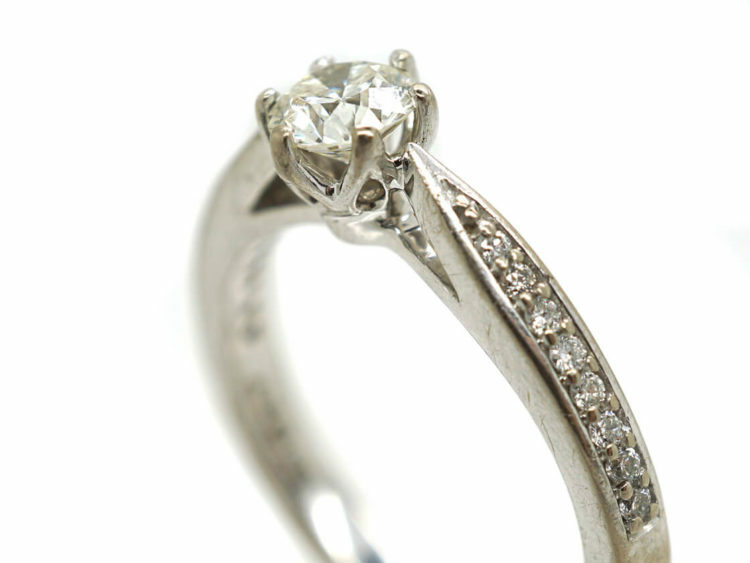 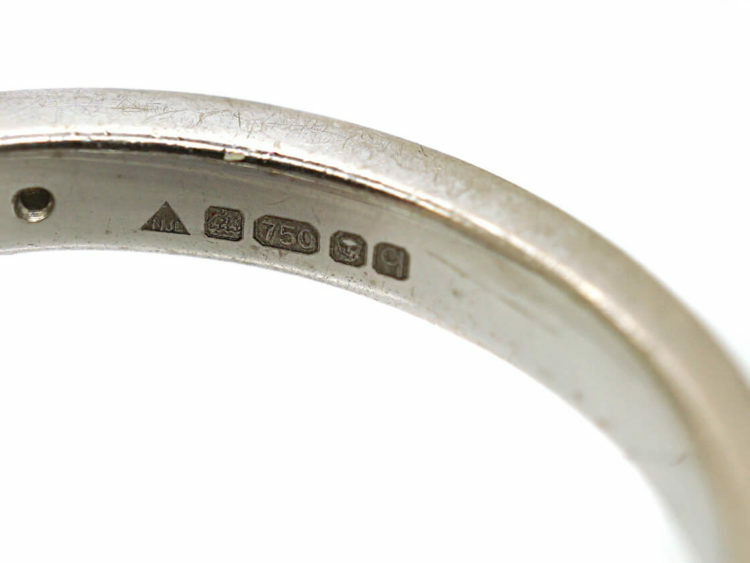 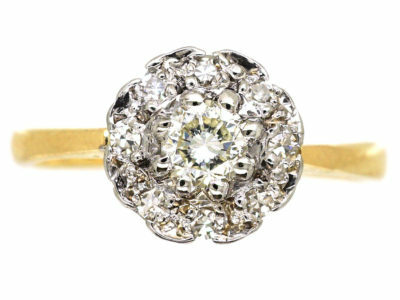 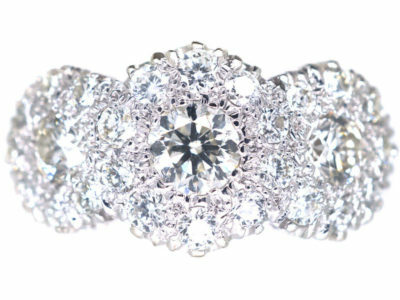 The centre diamond measures 40 points and is a good white stone. 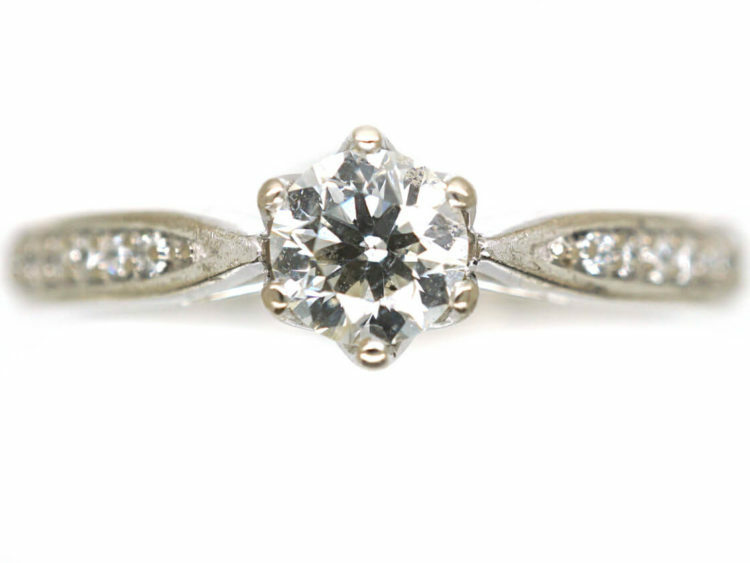 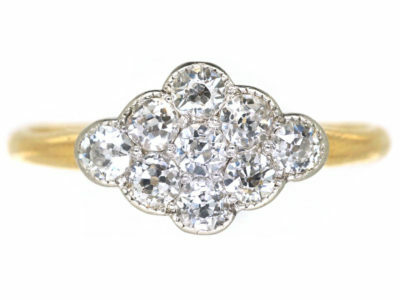 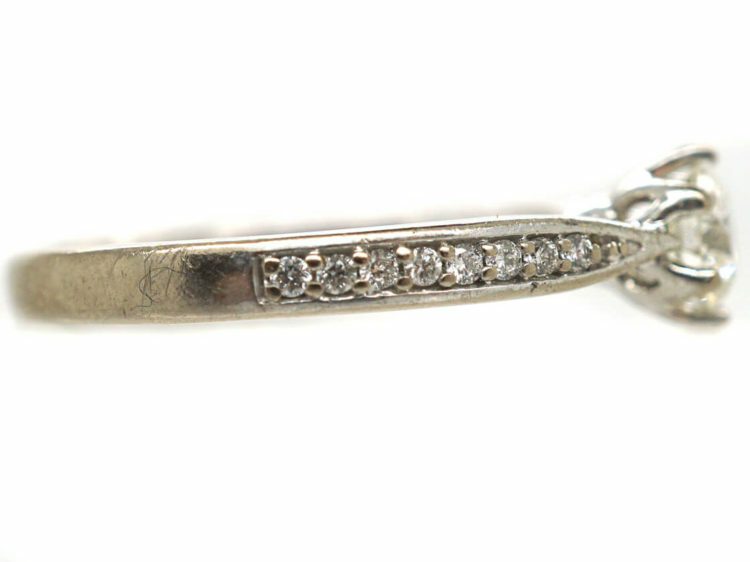 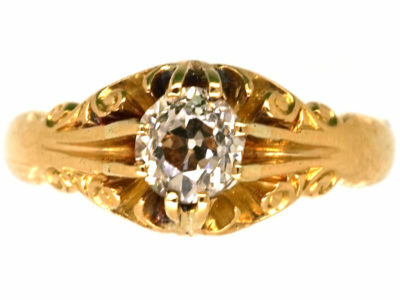 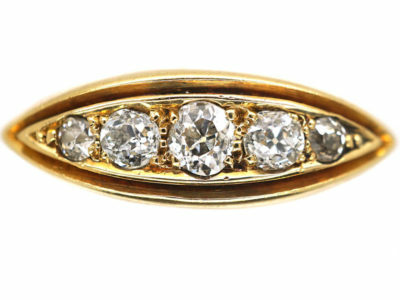 There are eight small diamonds on either side. 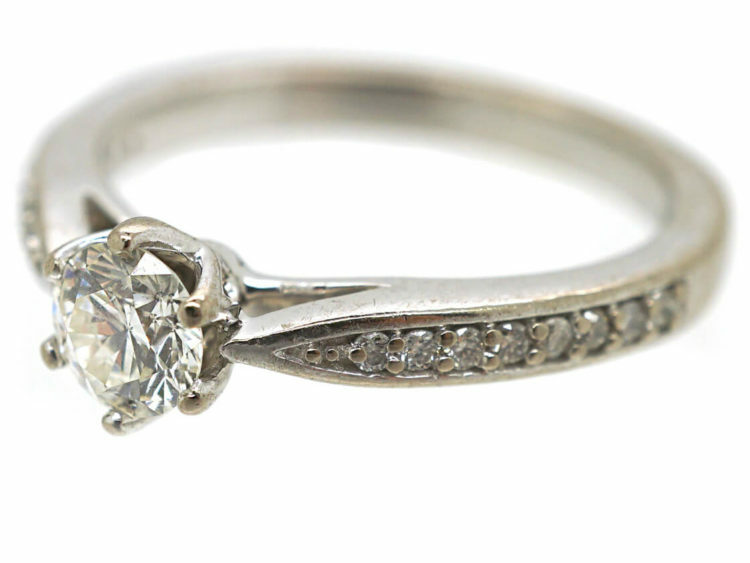 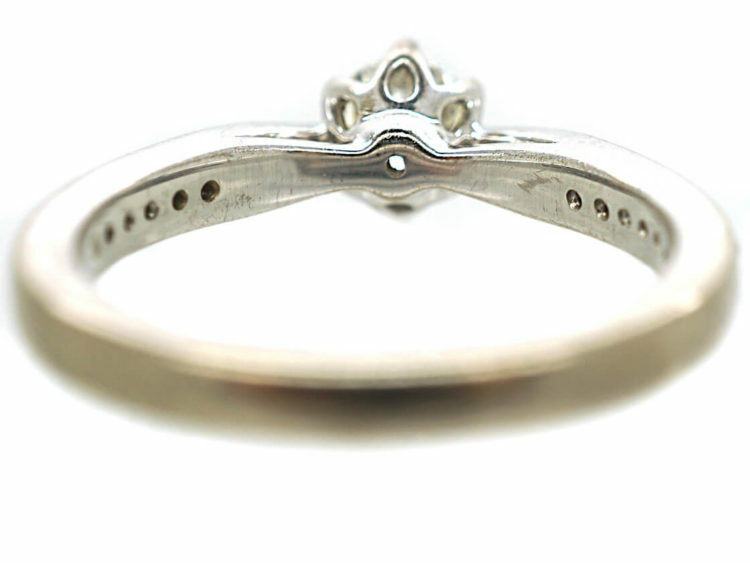 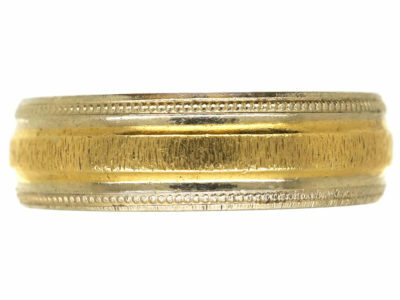 It would be an ideal engagement ring and looks very pretty next to either a diamond eternity wedding band or a plain 18ct white gold wedding band.